It has now been exactly two weeks since IKEA opened its doors for the first time in Indonesia. As a foodie, naturally my instincts would lead me to go for the canteen first rather than sightseeing the megastore with my wife like in 500 Days of Summer. Well, didn’t work that way though and here’s the story when I arrived at last. It was the second day and it feels like a shopping mall during weekend. Everybody crowded the parking lot so quick to get the best spot to park nearby the entrance and there’s plenty of people already inside. It’s good to see my wife’s big grin when she saw IKEA for the first time ever, live, and not through commercials or its famous catalogue. So, it took us a while to get ourselves right in the canteen and just as I expected, there’s a long line already. IKEA had anticipated this of course. So they lined up the customers pretty neat and quick but that’s not the case with the kitchen. They ran out of the side dishes so quick and so I had to ask if they have salad or sandwich left, aside from the overpriced smoked salmon. Luckily, a kitchen attendant came by to replenish the salad fridge. Me and a customer behind me got the remaining salad right away, and I saw clearly the disappointment with the rest of the competition just behind us. No salad, no sandwich, just the smoked salmon in the end for many of them. 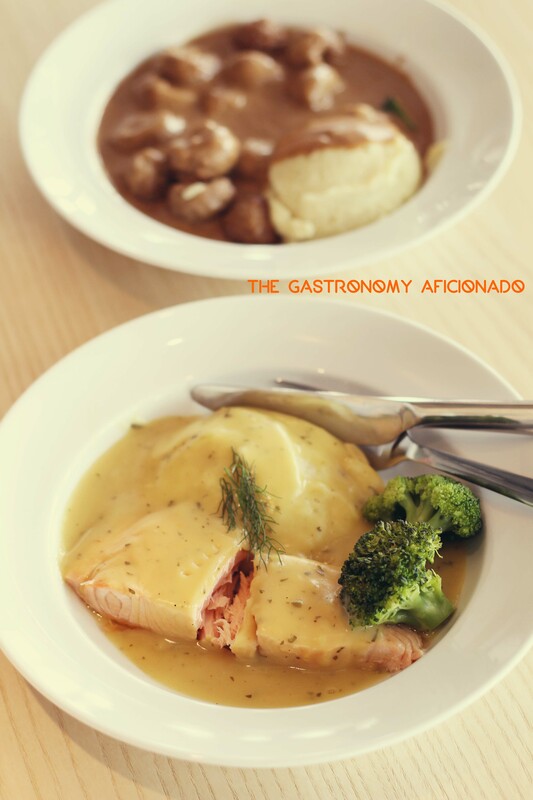 We decided to have the meatballs (of course) and the salmon as our mains. Additionally I also took a full bowl for mushroom soup and off we head to pay and fill our glasses with soda and coffee. There’s always a room to sit on the right wing if it gets full too quick on the main area and it’s a good thing that everything was air-conditioned well since IKEA always designs the restaurant with huge windows to get much of the sunlight. 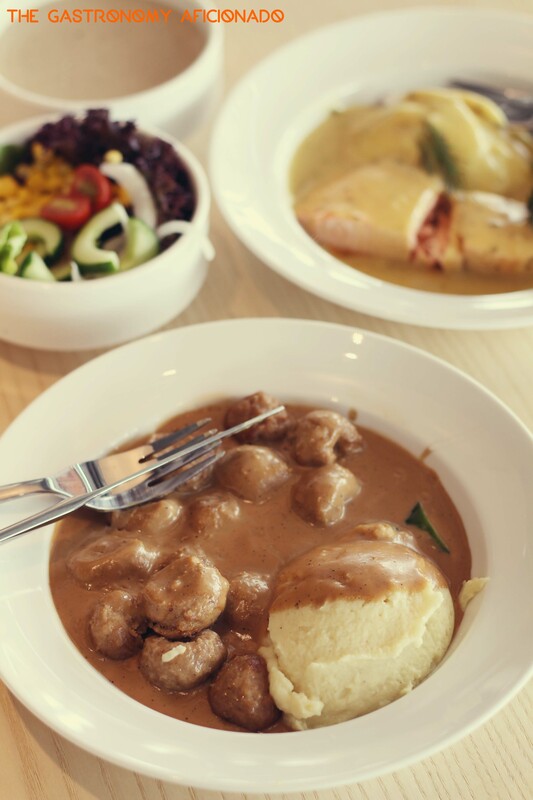 We enjoyed the food a lot especially with the soup and the meatballs, thanks to the hunger mainly. The salmon was okay but I think it could be better. The salad was like regular salad you’d have in Pizza Hut, but I completely enjoyed the free flow drinks at a very reasonable price. I figure that they won’t dare to charge the food at a really exorbitant price in overall since the furniture is apparently much more expensive than in Malaysia or Singapore, so I heard. Well, it was a pleasure by the way to finally meet IKEA again and to finally introduce my wife with it. 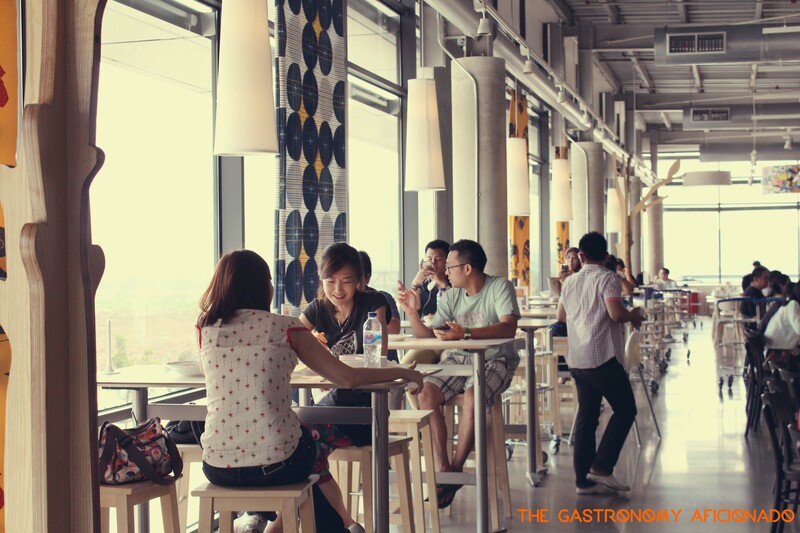 As for us, we’d love to visit again the canteen and try something else next time. PS: Try also the snack bar right outside the cashier section. It is heavily queued but they got good snacks at a reasonable price plus there’s also a Swedish specialty snacks store beside it. Enjoy your visit and make peace with the crazy weekend, mind you! Not sure about the furniture price, but even if it had been the same price or even cheaper, they would still sell the food cheap or at a reasonable price in order to draw in visitors/customers. That’s their business model. please elaborate on the breakfast menu, price, photo, etc. no one seems to provide this information whatsoever. what time do they provide the breakfast menu? thank u.